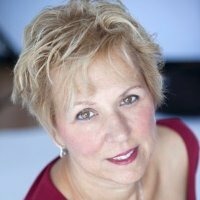 Patricia Moser, Toronto, ON, Canada | The Secretan Center, Inc.
Patricia is an inspirational leader, strategist, innovator, and implementer with a track record of achieving successful business outcomes. She is highly effective coach and mentor who takes pride in inspiring others to reach their potential. She has experience through both corporate executive roles and as a consultant, in a diverse number of industries. Patricia has been recognized as one of the premier thought leaders in her field and is skilled in developing partnership relationships that create new opportunities for both parties. She has written articles and given presentations, throughout North America which are both inspiring and thought provoking. Patricia is an award winning author of a book focused on women and success, 1 Piece of Advice: Exceptional Women from Around the Globe Inspire You to Unlock Your Potential (http://tinyurl.com/m33yltl). She writes about a range of topics on her blog thesourcerersapprentice.blogspot.ca. Patricia has a BSc. in Psychology, a BSc. in Chemistry and an M.B.A. She is also a Certified Higher Ground Leadership® Pathfinder.